There are treadmills, then there’s the SOLE F80. This treadmill is the standard for home workout equipment. Long-lasting with a powerful motor, and a cushioned deck your knees will love. - Supports up to 375 lbs. 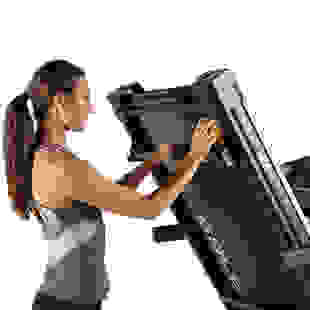 Box Dimensions: 86" X 38" X 17"
The F80 treadmill has been reviewed as "The best treadmill in its price range" by both consumers and numerous consumer resources. The F80 treadmill steps up to an industry leading warranty and the Cushion Flex Whisper Deck, shown in a study to reduce impact up to 40% as compared to running on asphalt. Not only does the deck perform like other commercial brand treadmills (costing literally thousands more), it's also covered by a lifetime warranty. The strong, 3.5 Cont. 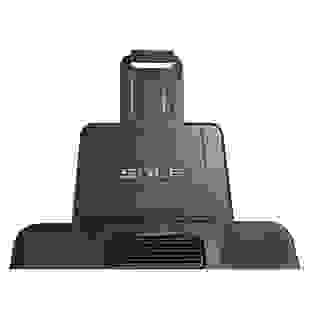 Duty HP motor delivers challenging speeds up to 12 mph. and inclines up to 15 levels. And when not in use, the treadmill deck safely locks into place, 100% secured. The treadmill console is user friendly with a vibrant display. The information that is displayed at all times include Speed, Incline, Time, Distance Traveled, Calories, Pulse and Pace. There is also a 1/4 mile track feature and a Peak and Valley graph for different programs. 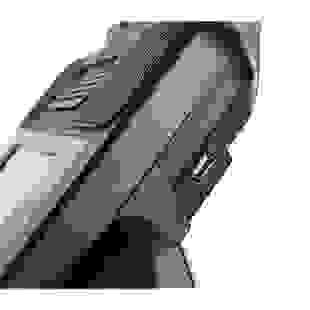 The console also has built in speakers which allow you to hook up any MP3 player (iPod, etc.) for easy listening. 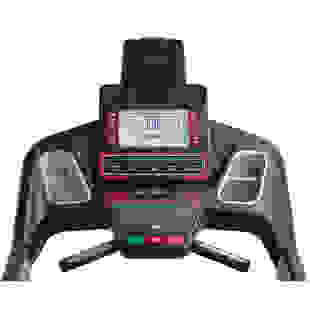 *New for this year, the F80 also now includes an Integrated tablet holder - allows users the freedom of using their smart devices to watch shows or follow their workout routines, A USB Port - Charge your smart devices while working out, and Bluetooth Audio Speakers - listen to your music from your smart devices through the speakers on the console. 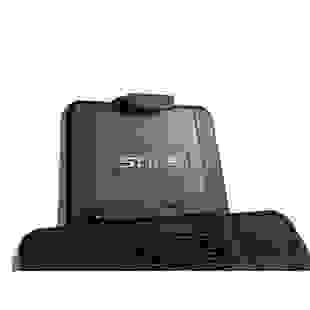 · Folding Deck Design – Easy Assist - SOLE Fitness if proud to offer the best folding treadmill design on the market. 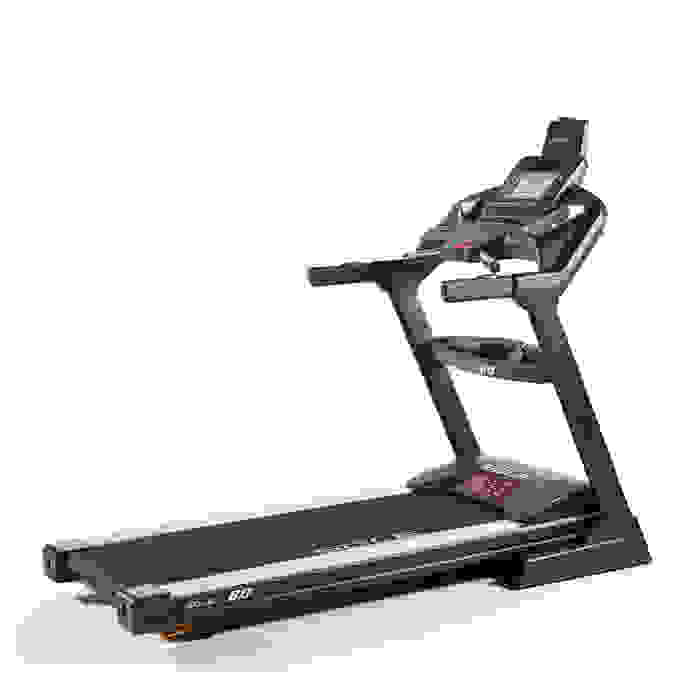 Our design features a patented all gear rack & pinion system with the Safety Lock Deck design that locks the deck into place when the treadmill is in the upright position. The F80 also comes with our Easy Assist Folding Deck Design, this unique feature allows you to release the deck, step back and the deck will unfold itself effortlessly while you watch. The Easy Assist Folding deck design is unique to SOLE and makes unfolding your treadmill all too easy. 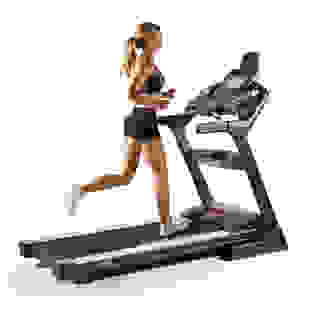 - Top rated treadmill according over 15 different fitness websites and magazines.